Checked by Janisch on 22/12/43 and approved by Jothann. 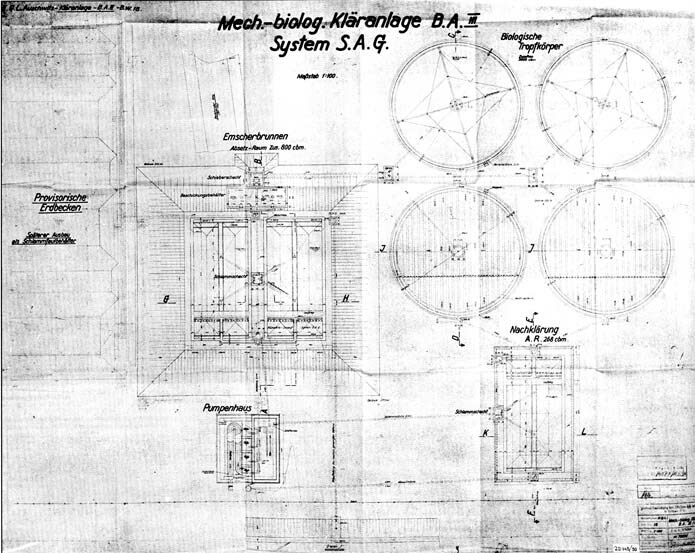 This drawing shows the second version, the first being identical to that of Birkenau B.A. II, of the Birkenau BA. III sewage treatment plant proposed by the Bauleitung, this one integrating in the installation the four provisional earth basins. transforming them into sludge digester tanks.